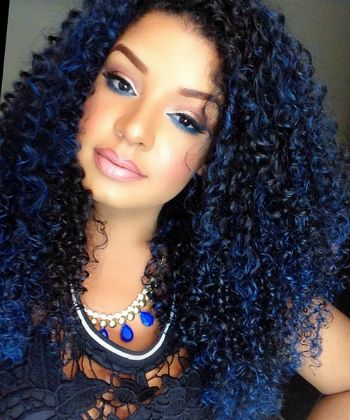 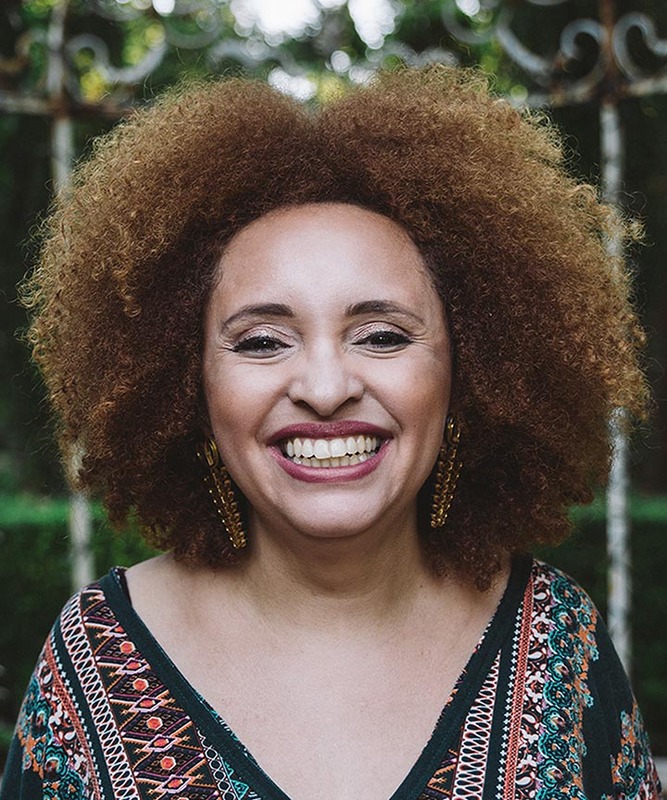 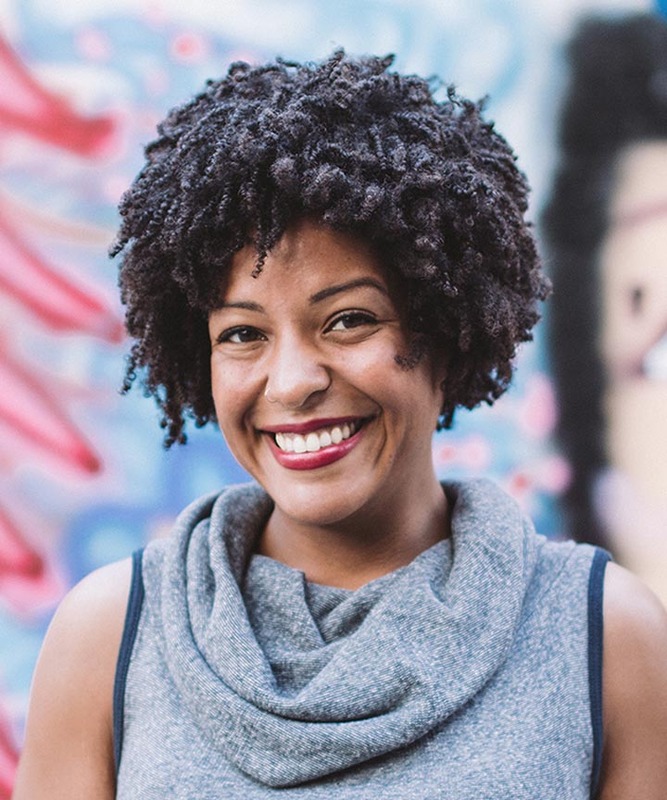 Elisa's natural hair tutorial videos and photos give us life in an array of blue hues. 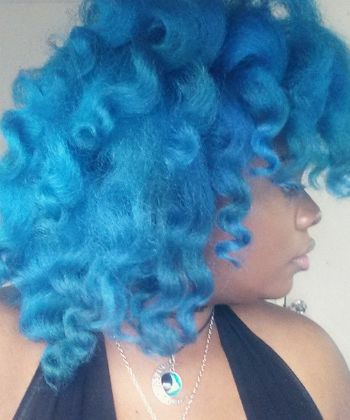 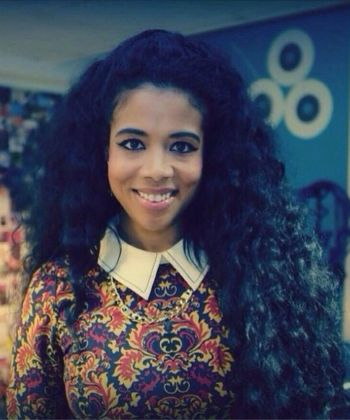 Watch her stunning braid-out technique on cornflower blue hair. 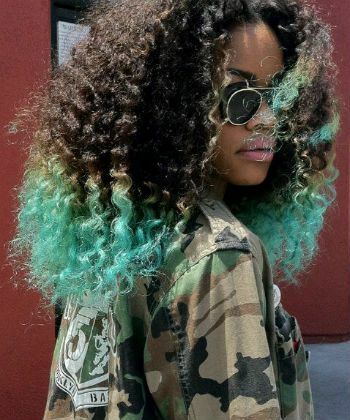 Once upon a time, the young singer-model sported turquoise tips in an ombre fashion, and although the actual coloring trend may be passe, we enjoyed her cyan moment. 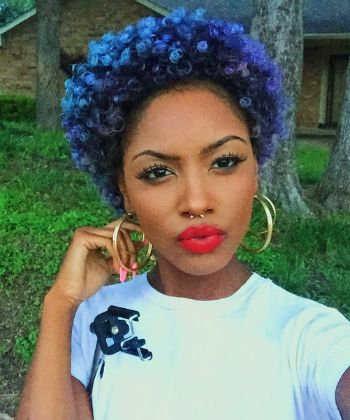 Nefertiti experiments with color on her natural hair, that is what she does--just watch her Youtube for tips and tutorials on maintaining sky blue with care. 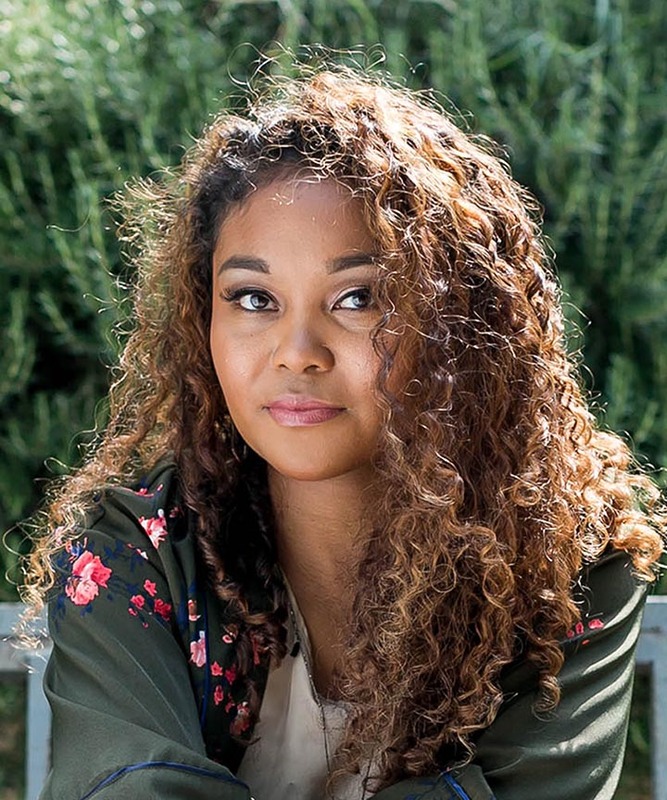 Annisa knows how to help make her tapered haircut on coily hair really burst--using Garnier's Color Styler in Blue Burst, to be exact. 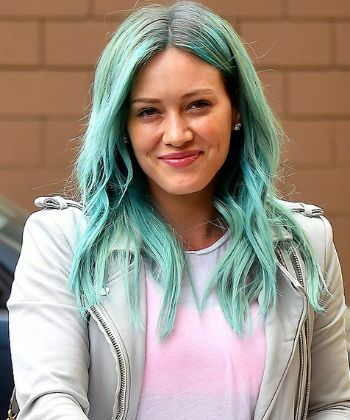 We don't mean to encourage an uncoupling in a positive light, such as Hilary Duff's divorce--but it's so hard to ignore just how radiant the former Disney star has been looking in her selfies with charming turquoise wavy hair. 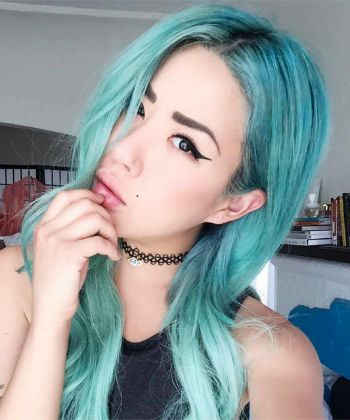 Her milkshake days may be behind her, but this eclectic singer-songwriter never fails to wow us with her hair color and style choices. 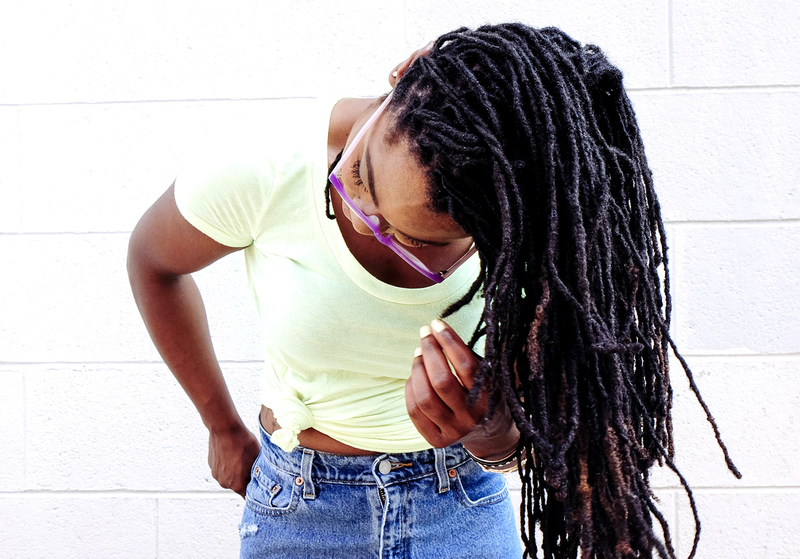 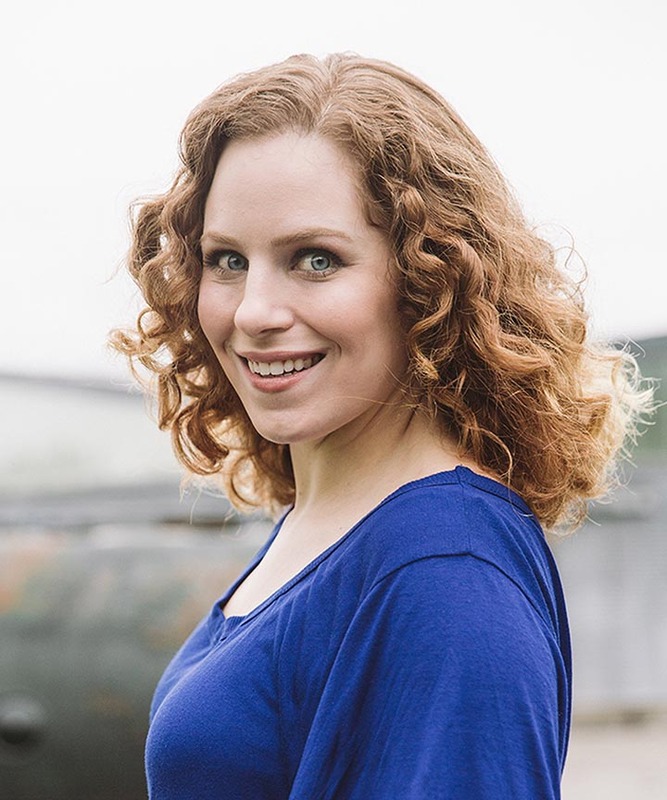 We love her denim-hued curls the most. 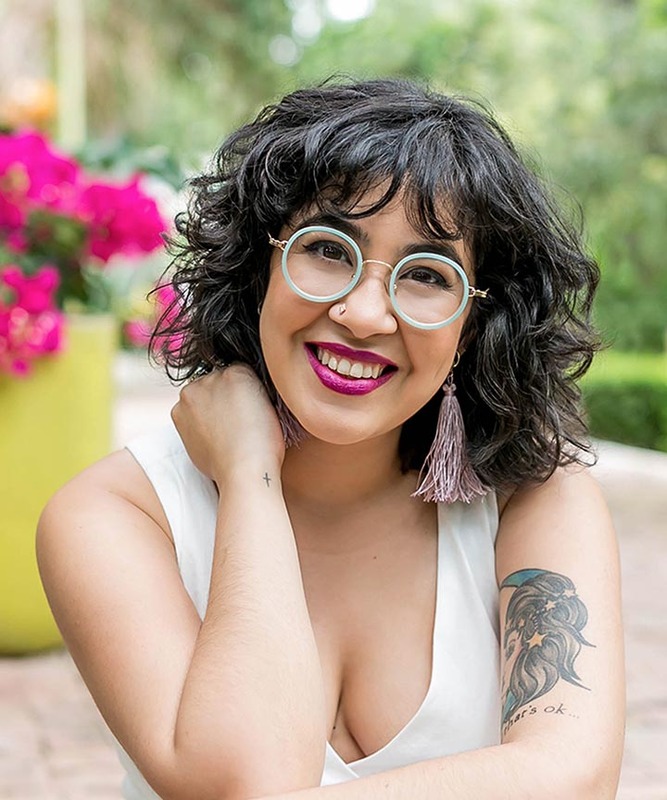 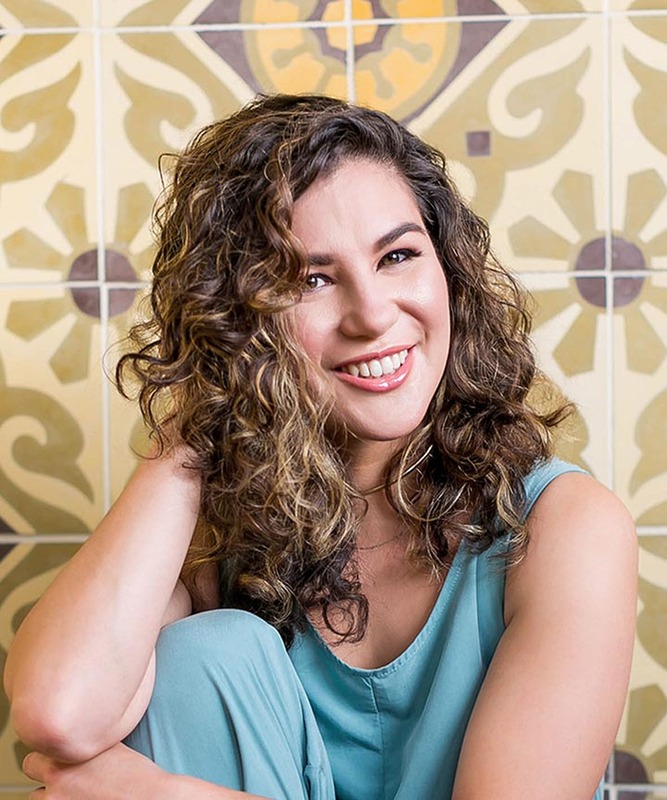 As if her long, luscious curls weren't perfect enough--Estefani pulls off these temporary oxford blue highlights as if her color flawlessly. 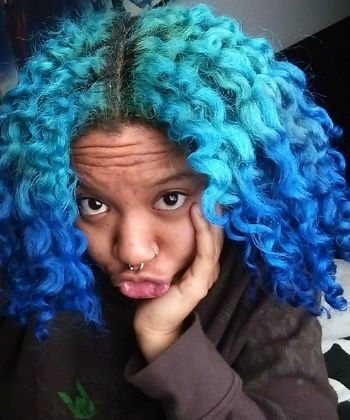 A pretty-faced cosmetologist turned Youtube sensation with an knack for pulling off vibrant rainbow colors, this baby blue looks just as jazzy on Ahzani's curls. 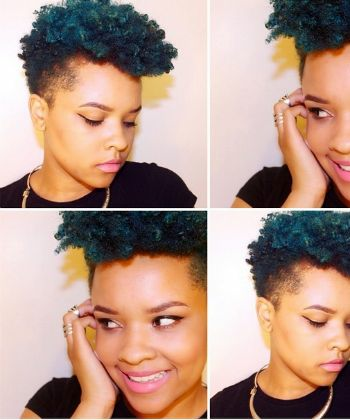 From pale purple and silver to teal, this fierce chick sure knows what hues compliment her striking facial features. 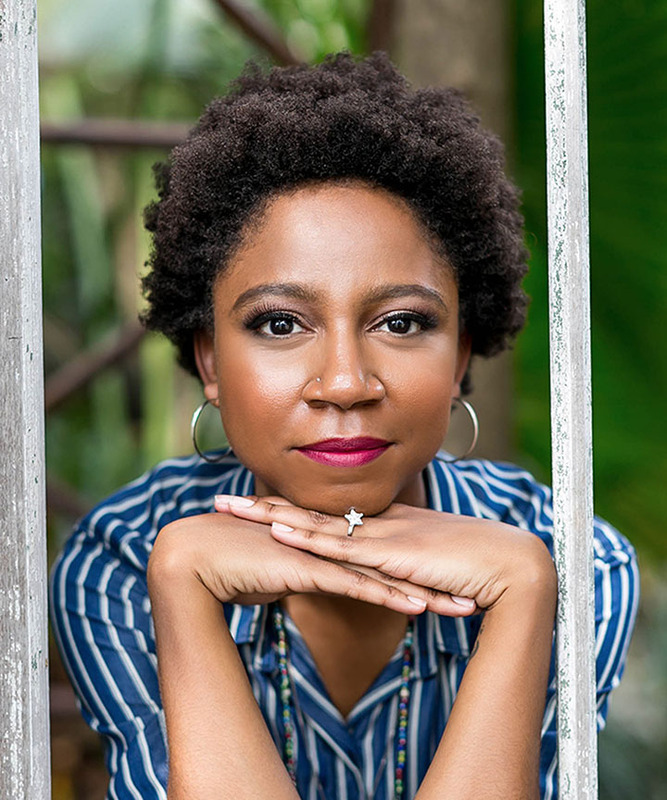 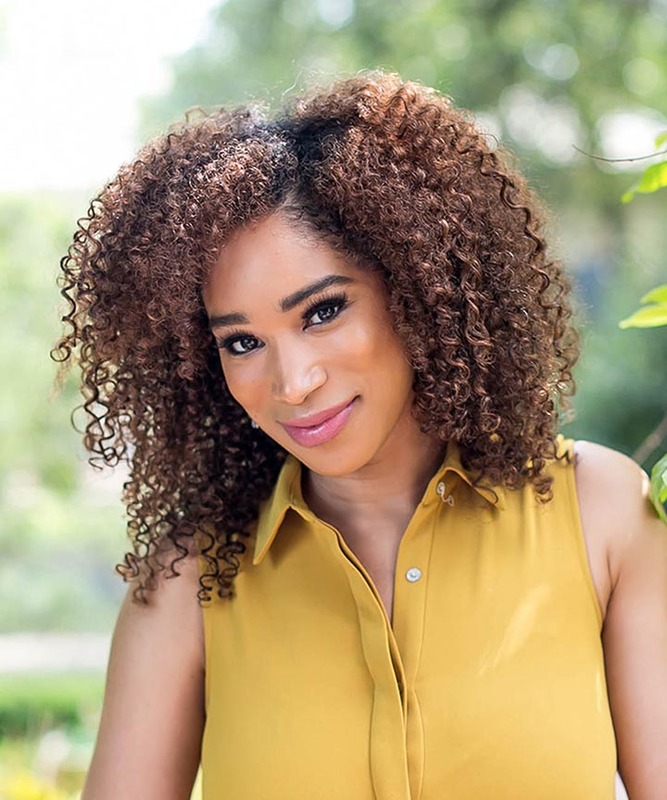 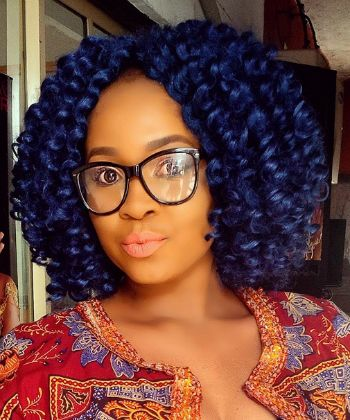 When it comes to all things beauty and lifestyle changes, Ify is the expert at hand--and her beautiful midnight blue crochet braids show just how confidence conveys through a photo.